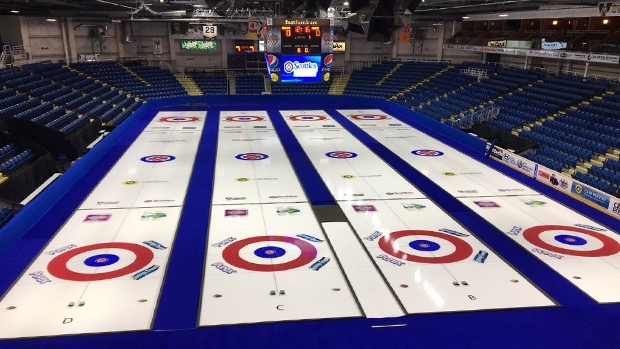 The 2019 Scotties Tournament of Hearts is just days away and preparations are in full swing at Sydney’s Centre 200. The athletes are not the only ones who’ll need to be in top form for the women’s national curling event. Dave Merklinger is the chief ice technician. It’s his job to make sure the ice is just right. “As soon as the hockey game was over, the glass came out, the arena got chopped down by the Zamboni, and we proceeded to build the curling ice on top of the hockey ice,” says Merklinger. Transforming a hockey rink into a curling rink involves more than you might think. Merklinger pebbled his first sheet of ice 50 years ago, in 1969. He's also played the game at a high level. Gordie Cormier is the president of the Schooner Curling Club and is also a Scotties volunteer. He says working with Merklinger is a learning experience and hopes to take his newfound knowledge back to his own rink. 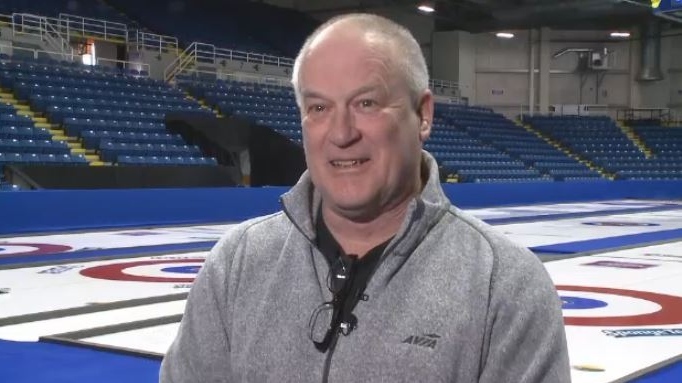 With the top female curlers arriving on Thursday, Merklinger says his job is to make sure the ice is at its best, so the athletes can perform at their best. The tournament kicks off with a wild card game on Friday night. The game is free for the general public and it will be the first real test for Merklinger and his ice making crew. Dave Merklinger pebbled his first sheet of ice 50 years ago, in 1969. Preparations are in full swing at Sydney’s Centre 200 for the 2019 Scotties Tournament of Hearts.